Fiona Reddan, in The Irish Times, reported that two-bed apartments in The Maple apartment complex in Sandyford, owned by Ires REIT, were set to be rented out for €2,750, setting a new rental price record in the area in the process. 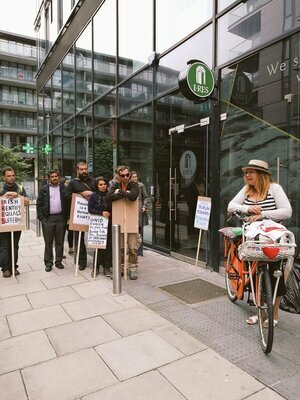 Members and supporters of Dublin Tenants Association subsequently protested outside the offices of Ires REIT. 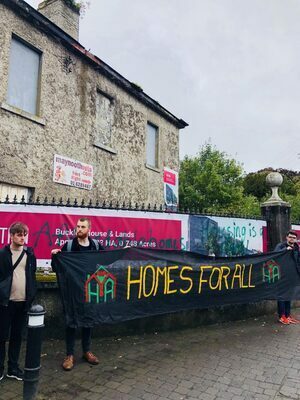 On Saturday, Craig Farrell, in The Irish Sun, reported that, due to a legal loophole, tenants of The Maple apartments were facing rental price hikes of up between 20 and 26 per cent – despite the apartments being situated in a Rent Pressure Zone where rent can only be increased by four per cent per year. Last Friday, several tenants protested outside the Ires REIT offices after getting letters from Ires REIT about the pending rental increase. Last night, Ms Reddan, of The Irish Times, reported Ires REIT has abandoned it’s plans to increase rent by 20 to 26 per cent and, instead, will increase the cost by four per cent. “The Maple was launched last summer, setting new rent highs for the area, coming on the market at €1,925 for a one-bed and €2,570 for a two-bed apartment. Some tenants of the development, which is at full occupancy, were told that their rents would rise to as much as €2,800 following the proposed rent hike, which was due to kick in on January 1st 2019. 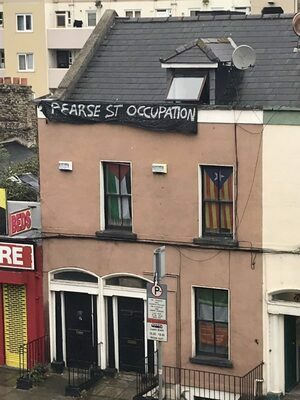 Posted in Misc and tagged #TakeBackTheCity, Housing, protest, Rental prices at 12:02 pm on October 9, 2018 by Bodger. Spotted on Pearse Street, Dublin 2. 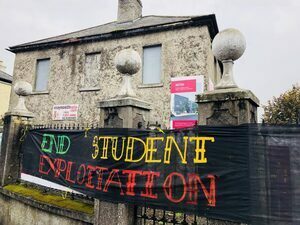 Posted in Misc and tagged #TakeBackTheCity, Dublin, Kildare, Maynooth, Pearse Street at 12:49 pm on October 2, 2018 by Bodger.